This week, the House Transportation, Housing and Urban Development, and Related Agencies subcommittee released the text of its FY19 appropriations bill, which allocates funding for the U.S. Departments of Transportation (DOT), Housing and Urban Development (HUD), and other related agencies through September 30th, 2019. The subcommittee has favorably reported the bill to the full House Appropriations Committee, who is expected to vote on the legislation in the coming weeks. Overall, the bill provides a total allocation of $71.8 billion in discretionary spending–a $1.5 billion increase above FY18 funding levels and an $11 billion increase above President Trump’s FY19 budget request. While the House’s appropriations legislation allocates resources to infrastructure, housing, and economic and community development programs, it remains to be seen which of these provisions will be included in the Senate’s June THUD appropriations package. LOCUS welcomes the maintenance of the federal programs and incentives critical to the safe, equitable, and sustainable development of America’s cities and towns. As the THUD appropriations process continues through both chambers of Congress, we will continue to work with our members and allies to ensure that the final legislation supports, expands, and creates long-term, innovative programs and incentives that build economically and socially vibrant neighborhoods and communities. The bill provides $43.6 billion in discretionary appropriations for HUD, an increase of $941 million above the FY18 enacted level. $18.5 billion for tenant-based rental assistance programs, in addition to $20.1 billion in renewals for expiring Section 8 annual contributions contracts and vouchers and $100 million exclusively set aside for HUD-Veterans Affairs Supportive Housing (HUD-VASH) vouchers, relocation and replacement assistance, and managing effects of unforeseen circumstances and presidentially declared disasters. $2.75 billion allocated to the Public Housing Capital Fund and $4.55 billion to the Public Housing Operating Fund for public housing agencies to carry out capital, operational, and management activities. The CHOICE Neighborhoods Initiative was provided $150 million to transform neighborhoods of poverty into functioning, sustainable mixed-income communities. The legislation commits CHOICE grantees to at least 20 years of project affordability, requires State, local, other federal, or private fund matches, and allows for-profit developers to apply to the program jointly with public entities. The Office of Lead Hazard Control and Healthy Homes’ Lead Reduction Program received $230 million in discretionary spending. The bill ensures continuing rental housing assistance for vulnerable families and individuals. Program allocations include $393 million for Housing Opportunities for Persons with AIDS, $632 million for Housing for the Elderly, and $154 million for Housing for Persons with Disabilities. $3.3 billion for the Community Development Fund to continue carrying out its Community Development Block Grant (CDBG) program. $1.2 billion allocated to the HOME Investment Partnerships program, which provides block grants to states and localities to expand affordable housing. While this funding level is lower than the previous year, it remains a historical high. Over $3 billion has been provided for Homeless Assistance Grants, Continuum of Care, and Rural Housing Stability Assistance ($2.55 billion) and Self-Help and Assisted Homeownership Opportunity Programs ($50 million). An additional $65.3 million was provided for Fair Housing Activities, such as training academies. The bill provides $27.8 billion in discretionary appropriations for DOT, an increase of $542 million above the FY18 enacted level. $750 million allocated for the administration’s newly overhauled BUILD program (previously TIGER). While this is less than the $1.5 billion previously allocated, it is nevertheless a historic funding high for the program. Allocations are balanced between rural, suburban, and urban areas and $250 million is to be set aside for port projects. The Federal Railroad Administration’s Consolidated Rail Infrastructure and Safety Improvements (CRISI) program was allocated $300 million. Furthermore, the Secretary of Transportation was authorized to issue direct Railroad Rehabilitation and Improvement Financing (RRIF) loans and loan guarantees. Federal Transit Administration (FTA) funding remains for transit infrastructure and formula grants, specifically for rural areas, state of good repair projects, high density state apportionments, and urbanized areas. Capital Investment Grants program funded at $2.6 billion, with one half if funds dedicated to current agreements and the second half to new projects. 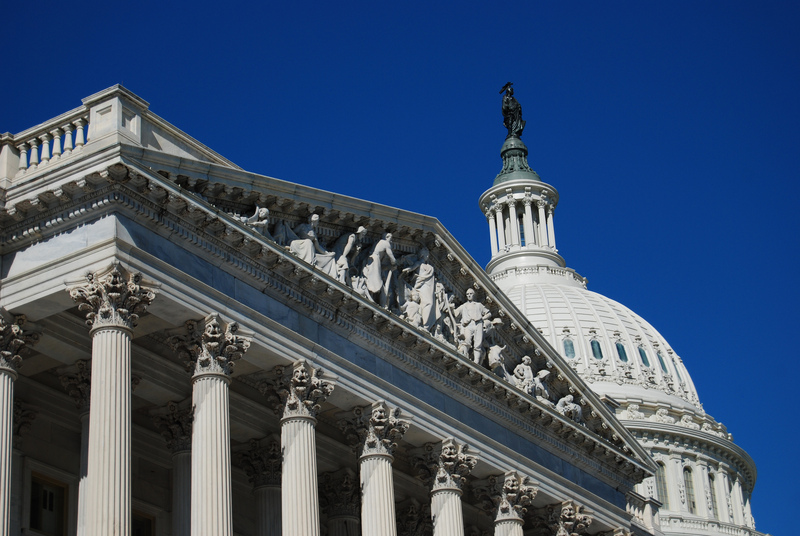 LOCUS will continue to monitor the status of THUD appropriations as the House subcommittee bill travels to the full House Appropriations Committee and the Senate releases their version of the same legislation. Follow this blog for real-time legislative updates and stay tuned for a sign-on letter outlining key principles for members of Congress to address in the final version of the appropriations bill.